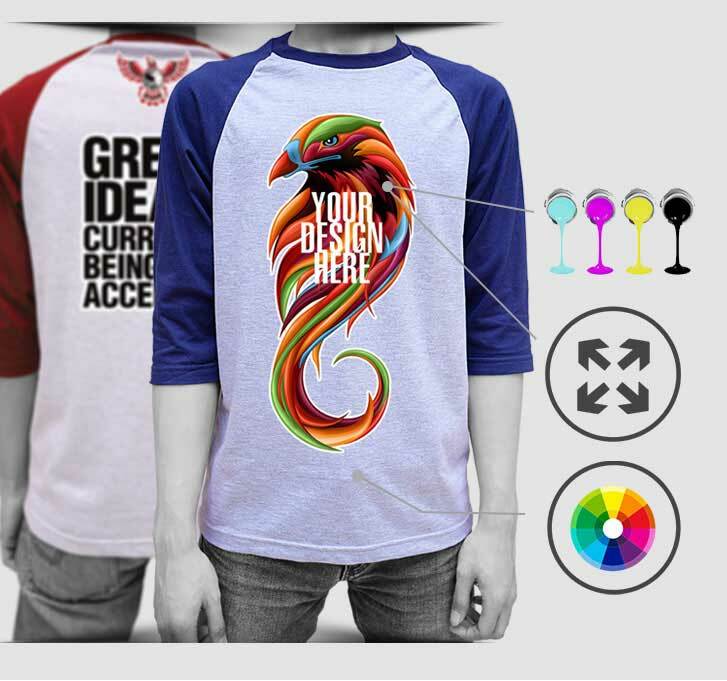 Raglan 20s t-shirt with the different color sleeve from the body uniqueness and 3/4 length of the sleeve makes itself a trending style. 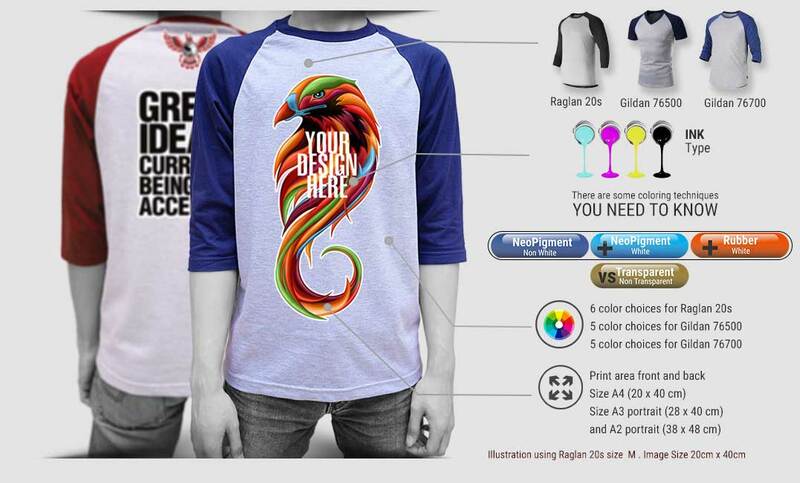 Custom.sg provides our own Raglan 20s 3/4 sleeve product and Raglan Gildan 76500 short sleeve also Raglan Gildan 76700 3/4 sleeve. 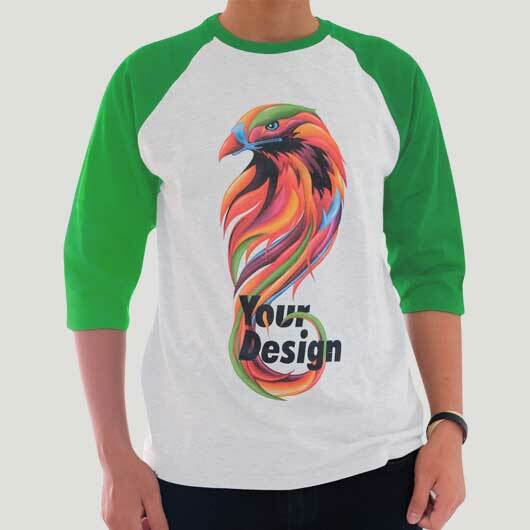 Raglan 20s made of 20s yarn thickness cotton (gramation 180-220 gr/m2) and soft fabric fiber which is comfortable to be worn, cool, and absorbs sweats. 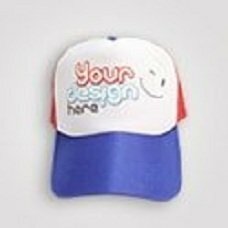 Fabric material and colour we use is high quality with consistent color stability level and will not fade if it is washed. 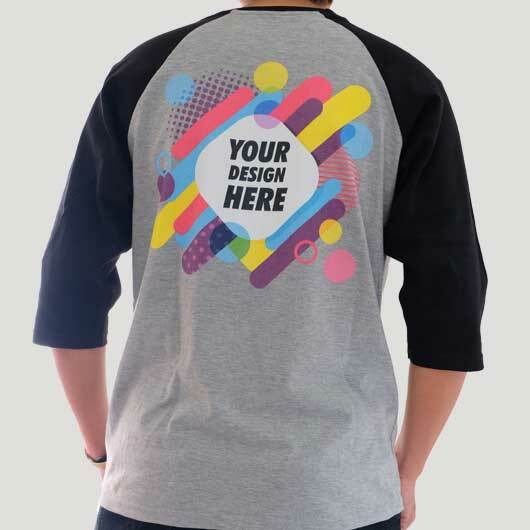 Inside part of the t-shirt is neatly overlock stitched; sleeve part, the connection of body and the edges of the t-shirt (down part and sleeve) are neatly stitched. 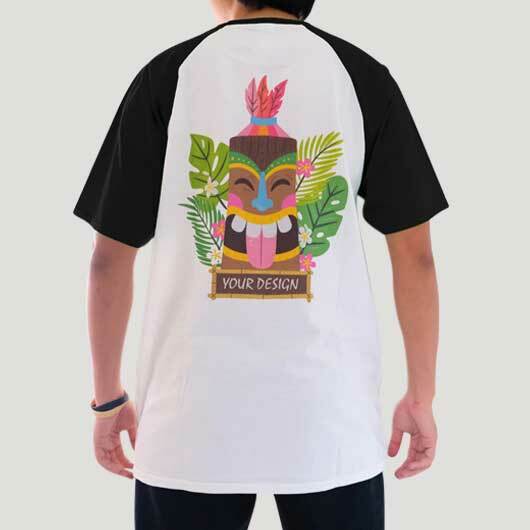 Raglan 20s is designed without mark label. Mark label service is available only for member. 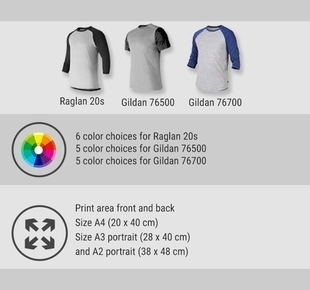 Raglan Gildan 76500 short sleeve with almost the same with Raglan 20s thickness without side stitching. 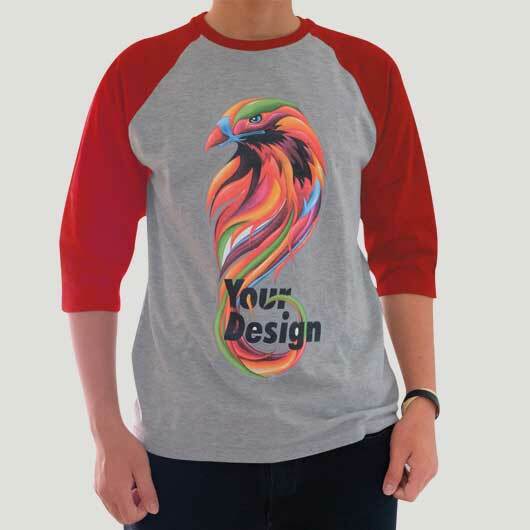 While Raglan Gildan 76700 is 3/4 sleeve t-shirt. 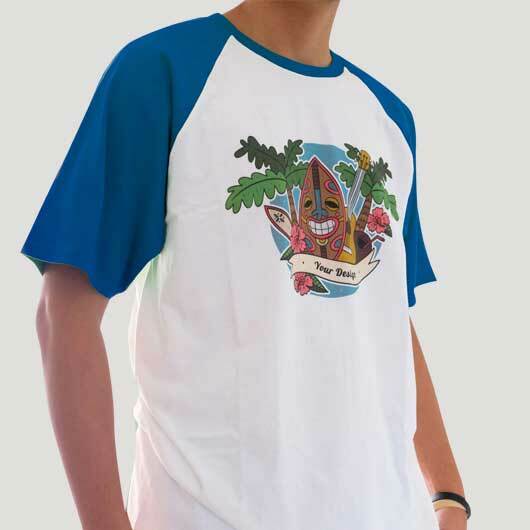 Edge part and down part of the t-shirt in both Raglan Gildan types are stitched with double yarn.